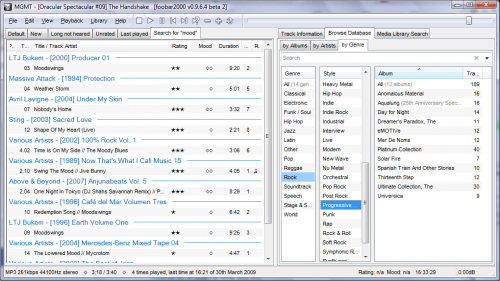 foobar2000 is probably the most flexible audio player for Windows currently available. Its most obvious difference from other widespread applications like Windows Media Player, iTunes or WinAMP is its unskinned user interface using standard controls. This lack of skinning makes it possible for the user to interactively design his/her own layout consisting of so-called UI elements. 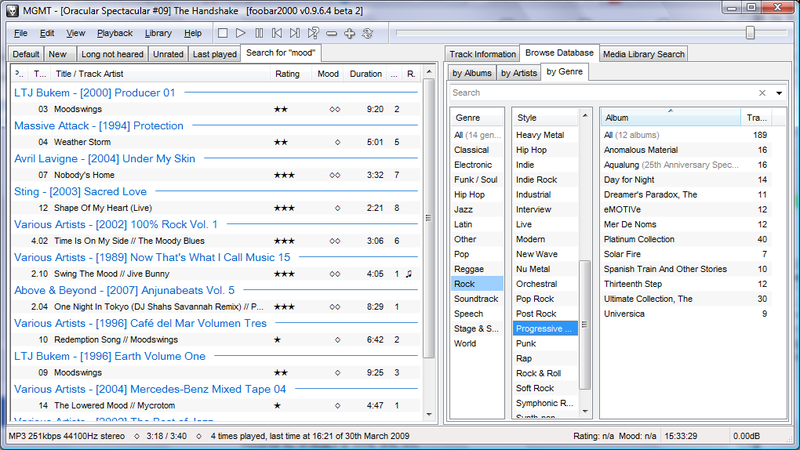 Among them are (tabbed) playlist views, an album art viewer, text display and several browsers for the internal media library.